Blairsville Wilbert of Blairsville, PA provides burial vaults and cremation urns to counties in Pennsylvania, Maryland, and West Virginia. Blairsville Wilbert offers burial vaults and cremation urns to the following counties in Pennsylvania: Armstrong, Bedford, Blair, Cambria, Clearfield, Fayette, Greene, Indiana, Jefferson, Somerset, and Westmoreland. 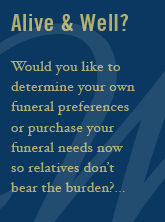 Blairsville Wilbert offers burial vaults and cremation urns to Garrett and Allegany counties in Maryland. Blairsville Wilbert offers burial vaults and cremation urns to the following counties in West Virginia: Barbour, Doddridge, Harrison, Lewis, Marion, Mineral, Monongalia, Preston, Randolph, Taylor, Tucker, Upshur, and Wetzel.